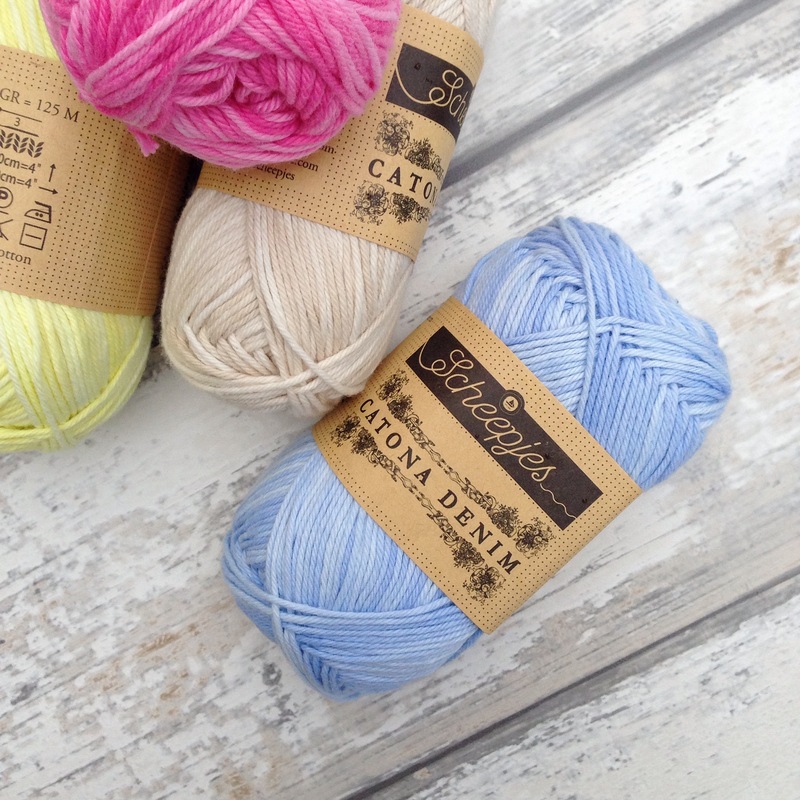 It’s a lovely pile of Scheepjes Catona Denim. 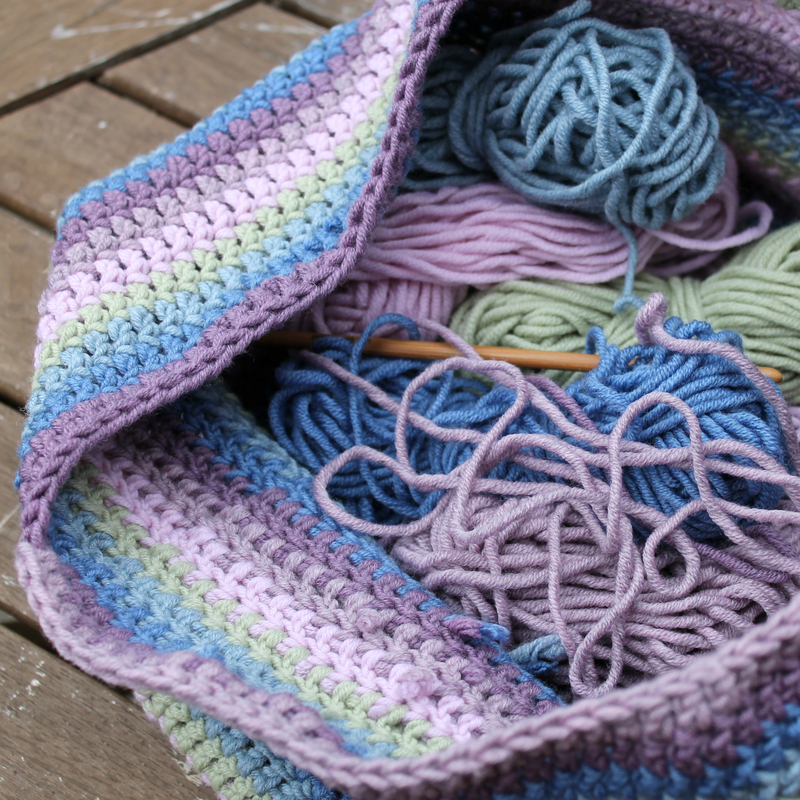 I chose a selection of some of my favourite colours with the intention of working on a tapestry crochet project. Doesn’t it look gorgeous, just as a decoration? 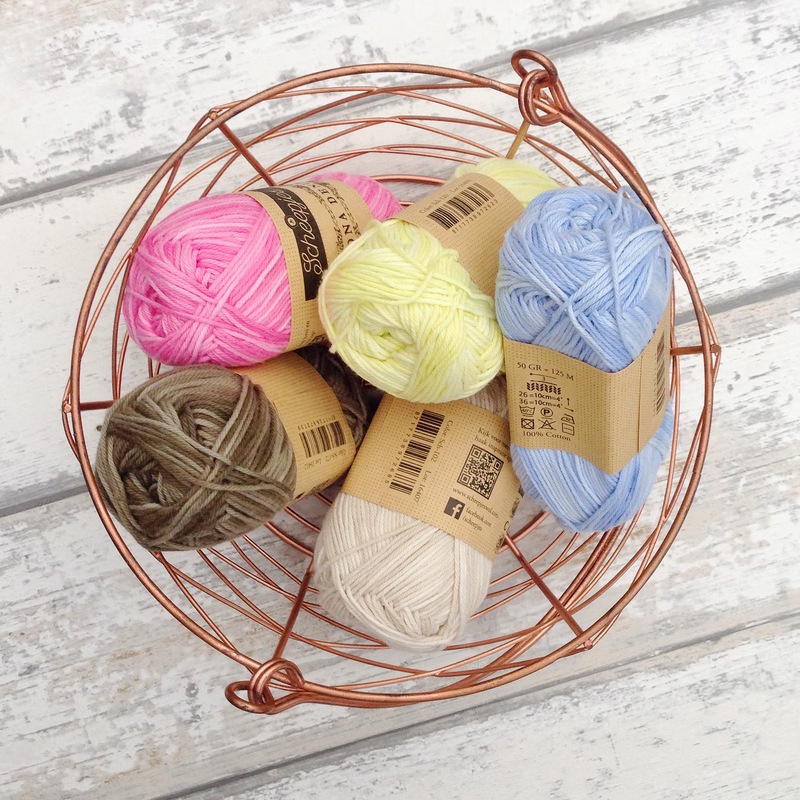 The yarn itself is a 100% cotton yarn, in a very similar style to the famous cotton 8, but with a lovely denim effect and ever so slight colour variation. It’s suited to a 3mm hook and is soft and easy on the hands. I’m making a stool cover for a little “krukje” that I picked up in Action last week, and I’m hoping that I can even write the pattern for it in Dutch! Check back next week, I’ll have the finished project for you. I’ve been powering through it and there’ll be more photos on Instagram through the week, so please nip over there to keep up to date! It feels great to be overflowing with Crochet Mojo. 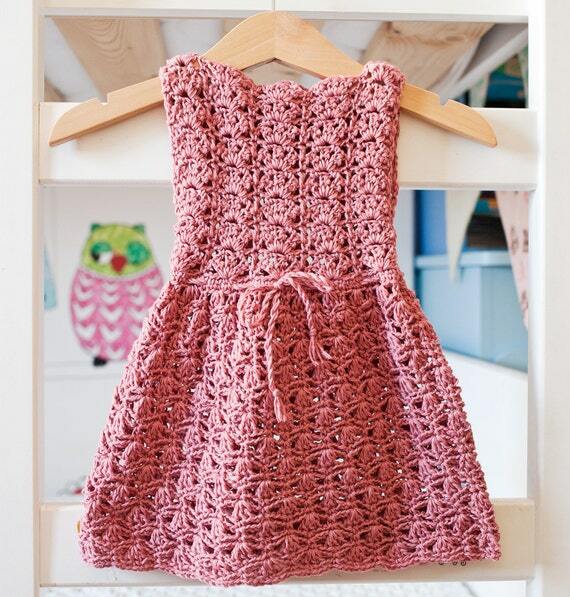 A couple of weeks ago I decided that I wanted to crochet a dress for my daughter. I haven’t made a lot of clothing, but the few pieces I have made are wonderful. They’re so much fun, and give such a feeling of accomplishment. So when I came across this pattern, I knew it was the right one. I especially loved the texture and the romantic neckline, but had to find the perfect yarn. Eventually I settled on using Scheepjes Softfun, a yarn that I’ve heard so much about, but hadn’t had the opportunity to use yet. But before I could begin, I had to check a few projects off the list. I had to finish a scarf, a couple of amigurumi projects, and finalise the Bucketful of Sunshine pattern, but once they were all out the way, it was all systems go! I just love the neckline on this pattern, it’s just so beautiful. The project was surprisingly easy. It took me a few swatches to get the gauge right, as I crochet much tighter than the average designer, it seems. In the end I had to upsize to a 4.5mm hook (the pattern calls for a 3.5mm hook) which seems to be about the norm for me now. Here is the end result. I’m so happy with the outfit, my daughter looks so cute! And here she is, with her first love: Peppa Pig. Now I’m hoping for a long, hot summer so we can wear the dress every day! The original pattern can be found on Attic 24, for free! What do you think of the colours?